This exquisite set of 4 buttons, cufflinks and tie pin was meticulously crafted in platinum over 18k yellow gold in the early 1900s. 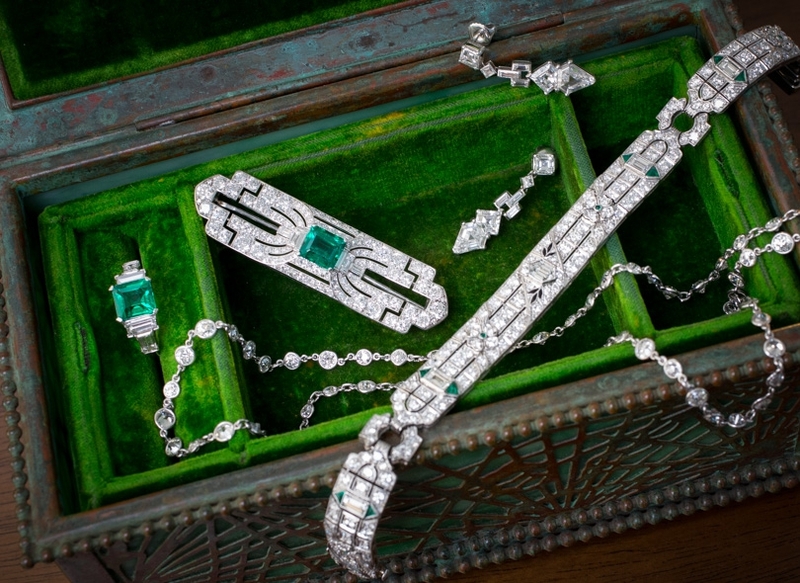 Each piece features a flush-set, old European-cut diamond, centered within a richly textured surface. The set is displayed in its original custom-fitted box, with gold stamping on satin reading: 'Collingwood & Co. To The Royal Family 46 Conduit St.London'. The diamonds are described as follows: Eight Old European-cut Diamonds: 1.00 carat total weight, color: H-J clarity: SI1-SI2.